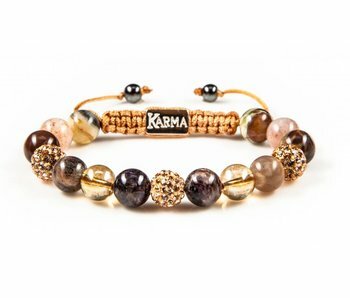 As official dealer of KARMA we present a selection of the Classic bracelets with real stone and crystals! Each bracelet has a unique appearance with ever-changing combinations of natural stones. Hand-knotted bracelet for women, the Karma bracelet Pleasure Seekers. The beads are made of natural stones and crystals, combined to a slim, yet strong bracelet. 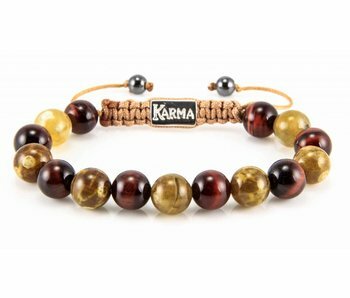 Karma is a Dutch jewellery brand. 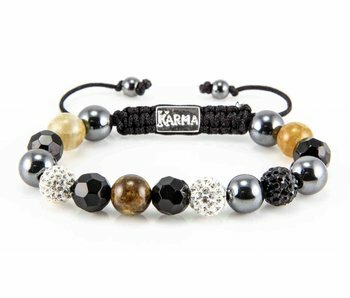 Hand-knotted bracelet for women, the Karma bracelet Reflections. The beads are made of natural stones and crystals, combined to a slim, yet strong bracelet. 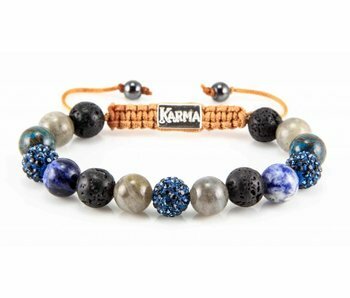 Karma is a Dutch jewellery brand. This classic bracelet Indian Summer is a hand-knotted jewel from Karma, a Dutch brand. It is strong, adjustable in length and made from natural stones and crystals. A wannahave to combine with your other jewels or bracelets. Bracelet Magnificent Classic is a hand-knotted wrist jewel with natural stones and crystals. A wannahave to combine with your other jewels or bracelets. Virginia, this classic bracelet is a hand-knotted jewel from Karma, a Dutch brand. It is strong, adjustable in length and made from natural stones and crystals. A wannahave to combine with your other jewels or bracelets. Savage Garden, This classic bracelet is a hand-knotted jewel from Karma, a Dutch brand. It is strong, adjustable in length and made from natural stones and crystals. A wannahave to combine with your other jewels or bracelets. Spiral Classic Glamour Nightis a hand-knotted bracelet from Karma, a Dutch brand. This Classic bracelet is strong, adjustable in length and made from natural stones and crystals. A wannahave to combine with your other bracelets. Spiral Classic Acapulco is a hand-knotted bracelet from Karma, a Dutch jewellery brand. The Classic collection is strong, adjustable in length and made from natural stones and crystals. Spiral Classic Little Italy is a hand-knotted bracelet by Karma, a Dutch jewellery brand. This Classic bracelet is strong, adjustable in length and made from natural and artificial stones and crystals. Spiral Classic Woodstock is a hand-knotted bracelet. 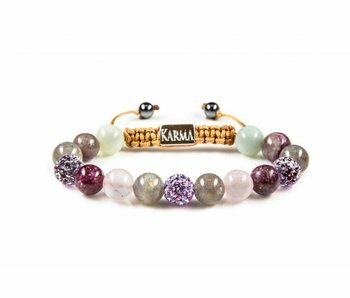 strong, adjustable in length and made from natural stones and crystals by Karma, a Dutch jewellery brand. Stockholm is a hand-knotted bracelet from the Karma Spiral Classic collection. Strong, adjustable in length and made from natural stones and crystals. 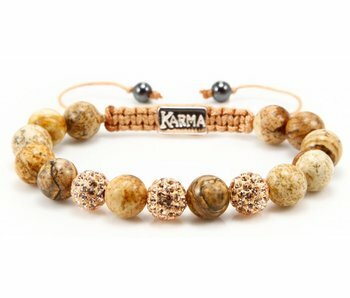 Karma, a Dutch jewellery brand. 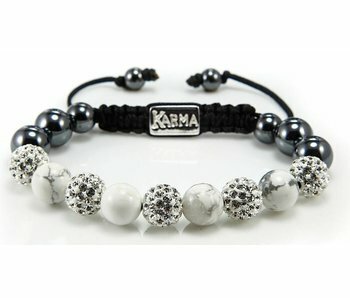 The Classic Bracelet from Karma! 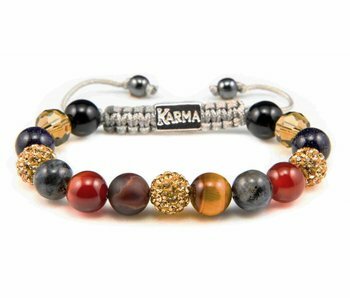 Classic Karma bracelets are very stylish and lovely. They will match perfectly with your other jewelry. Karma is a young Dutch brand, characterized by an unerring sense for style. The combination of crystals, artificial stone beads, nylon cord and natural stones makes it a special and unique bracelet. Karma is a source of energy beside a beautiful piece of jewelry. 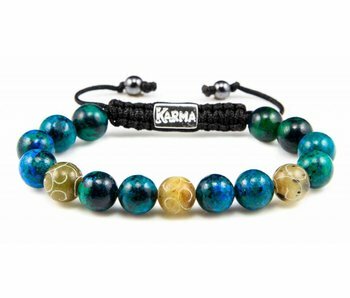 As official dealer of KARMA we show you a selection of the finest bracelets. The bracelets have a unique look by ever-changing combinations of materials. The stone- and crystal beads in the classic bracelets have a diameter of approximately 10 mm. The total length of the bracelet is adjustable and fits every woman. The bracelets are durable due to the strong, ajustable and handmade string. Easy open and close. Free shipping within the Netherlands. Free exchange within 14 days if unworn / no wear. 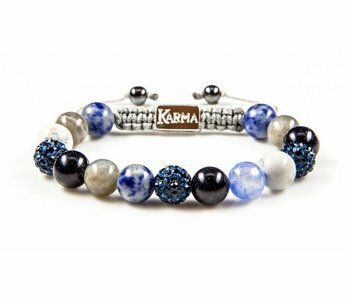 Buy 3 bracelets (Classic or XS) and you will receive a pair of beautiful Karma earrings Karma for FREE.